Happy New Year's Eve! End 2012 with some links. 18 Predictions for the year 2013 from SF stories. The Giver movie? Apparently, yes. Ebook downloads from libraries hit records on Christmas Day. Infographic! Goodreads 2012 by the numbers. One list of "suspiciously similar" book covers. There could have been dozens of lists like this. Who doesn't love silly photos of serious writers? The Minneapolis Star has "Essential Reading after Newtown"
Batman bookshelves! (cute, but not really practical for the book hoarder lover. Do you need Doctor Who stamps? Your abbreviated links! Happy Friday! Jack Reacher not reaching the fans. I'm not a juvenile lit aficionado, but this NPR interview with Rick Riordan made me fee like I was missing out! 38 End of the World movies in 3 minutes! Ready, Set, GO! And, a reaction to John Sargent's letter. In more Books ----> Movie news: Angelina Jolie slated to direct Hillenbrand's Unbroken. Grimm's Fairy Tales turns 200. A new trailer for The Great Gatsby. Good Morning, Collection Reflectors! Have some news. Five Famous Authors Who Became Infamous. Ebooks can Unify the Backlist for Prominent Authors. 3M and Polaris announce industry's first fully integrated ebook library catalog. Audioboo goes for a redesign. But, they kept the name. On the subject of strong women in SF/F. Game of Thrones gets its own official beer. Literature provides today's Mayan Apocalypse survival tips. EarlyWord rounds up the Best Cookbooks of 2012. Have you been to the Bookateria? Settled: Penguin & the DOJ. NPR rounds up 2012's Best Mysteries. One thing not going on a diet for the new year? Game of Thrones episodes. Brilliance Audio (digital not available in libraries) enters print and ebook market with new imprint. The 2012 "I Love My Librarian" Winners! Congrats! Baker & Taylor expands its collection management team. Ebrary adds more foreign language content, publishers. Don't Hide Your Harlequins: In Defense of Romance. NPR talks Best Romances of 2012. Everything is bigger in...Seattle? Their 25 top books of 2012! The snark is great, but there is news here too: Simon & Schuster agrees to sell ONE ebook title to libraries. Why IS there a "b" in the word doubt? And before you see The Hobbit, some theaters showing a commercial for Robert Jordan's Wheel of Time. Pretty good marketing, that. For Best Covers part 1, click here. It has been a pretty darn good year for covers. Let's get to the rest of the list! It takes all the conventions from the urban fantasy book cover playbook (broody, pouting heroine plus weapon, plus posing) and elevates them. The background is outstanding. Looking at her sword arm, I was hoping she was part cyborg. Maybe she is. I need to read it to find out. I love everything about this cover (except maybe the overabundance of words on it.) It is gorgeously drawn. It is gorgeously colored. The details are perfect. You get a sense of her walking through the forest, with the movement of the leaves and her positioning. The lantern even looks like it might mid-swing. My favorite cover that looks like a movie poster. In fact, I am already in line to see this movie because it looks awesome. The detail on that cover is pretty impressive. After a year's worth of cover goodness (and badness), these are the ones that seem just as beautiful now as they did when I first saw them. When I looked back on the covers from this year, a lot that I had marked as wonderful had really lost a step or two when taking a second look. Maybe that is because taste can change over the course of a year, or maybe they shine less bright when compared to an entire year's worth of competition. As usual, these are only the things that caught MY eye this year, and I would love to hear your opinions on these, or any other covers that caught YOUR eye in 2012. When I saw this one, I could not stop staring at it. 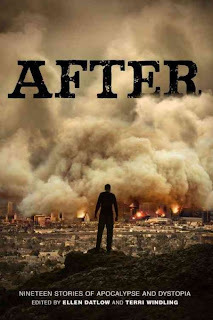 It is one of the most realistic post-apocalyptic scenes I've seen on a cover, and it works. If you look at it too long, it starts to look like the clouds are moving...that's your cue to go to the next book. From Oliver Sacks, "Reading the Fine Print": "Writing should be accessible in as many formats as possible." Cleveland Plain Dealer picks the Best Nonfiction of 2012. According to USA Today, the Holidays are the "Heartbeat" of Print Book Sales. People are using ereaders to (gasp!) read more books! Karin Slaughter's Will Trent series is coming to the movies. And possibly TV. Chase Novak's (or Scott Spencer, whichever name you prefer) novel Breed will also be adapted for film. The world really needed a Hunger Games-style reality TV series, right? Literary Death Match also, possibly, coming to a tv near you. Found: A new Hans Christian Andersen story! John Ringo, David Weber, and Lois McMaster Bujold now available at Amazon in ebook format. Greetings! Here is what I'm looking at around the web this morning. Breakup letters from famous authors. Lit Ragger brings Literary Journals to iPads and phones. Hans Christian Andersen's first fairy tale found. A little bit of fun with Warm Bodies movie posters. The movie comes out on February 1, 2013. Interest in the book is heating up again. The Wrong War over Ebooks. Buy a Nook, and B&N will donate a book to First Book. Where the streets have no name no longer! Intersection near LA library named for Ray Bradbury. Seriously, you think people have never heard of these books? So who IS this Ayana Mathis anyway? The NYT tells you. Is the Media obsessed with e-books? Tea Party condemns children's book on . . . okay, I stopped listening. National Federation of the Blind to Take Protest to Amazon, Denouncing School Kindle Use as Discriminatory to Blind Students. Either “New Adult” fiction is trending on Goodreads, or more people are tagging things with “New Adult.” Or maybe both. Preview the comic book selections for Free Comic Book Day 2013. Tips on how to speed read for Reader's Advisory. How to make your own infographics (via Linda Braun). In "we can hate everyone" news, Salon says to "Stop giving war-veteran novelists a free pass". I heard about Acoustik at ALA. I guess I thought it was already a reality. 10 Eye-Catching reads for the book lover on your list. The EU identifies six ways to modernize copyright. All the Firefly moments on Castle. Writing genius? I think so. The Man of Steel full length trailer? Absolutely. Over at her blog, Anna reviews romance novel titles from the past year. With charts! Some more highly anticipated SF/F books for 2013. Wanna know how to check out ebooks from your library? Ask the New York Times, of course! Baen inks deal with Amazon, makes major changes to Webscriptions and Free Library. Speaking of audiobooks, AudioGals talks Christmas gifts for the audiobook lover. Battle of the celeb memoirs: UK version. Four design featurettes for Les Miserables. The best literary quotes ever tattooed! A Brit Audiobook of the year, The Woman Who Went to Bed for a Year, has funny outtakes. Our Never-ending Obsession with the Apocalypse. Open Road and Ingram partner in a digital distribution service. E-book providers may be sharing user information without your consent. 15 sexiest book covers? No. But some of them are pretty hilarious. Scholarly Kitchen talks the theory of the E-book. 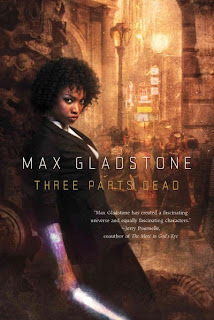 What are the Top 10 "must read" titles in SF/F/H for January? For the Hobbit fans, GeekTyrant helps you out with a link to a 13-minute TV special. Enjoy! An interesting article about sexism in historical fantasy. Kirkus talks best bets in SF/F for December. Can a "Spotify for books" work? Cuban publishers eager to embrace E-books, Open US Market. 7 SF remakes with vastly improved special effects. Time's Top 10 titles (and everything else) of 2012. And the NEW Oprah book club pick is.....The Twelve Tribes of Hattie. Cosmo and Harlequin team up to make red-hot ebook babies. Hachette has dropped agency pricing on ebooks (and their library pricing went up recently). Galleycat serves up the most overlooked books of 2012. My new favorite thing: Honest Trailers. This is the one for The Dark Knight Rises. It is honest(ly) hilarious. And accurate. A digital discussion -- which brings up a host of issues about libraries, digital divides and poverty. A good read. A Casual Vacancy will be a mini-series. A brilliant article about Small Demons. Goodreads Readers (via EW) pick their best books of the year. Three authors talk about growing up with Judy Blume books. AAP sales mixed for August. Carry on, Tuesday. Carry On. Good Morning, and Happy December to you! Our friend @librarymary40 talks about Baby Steps of Collection Analysis: Using Excel with Collection Data. David Oliver Relin, co-author of Three Cups of Tea, dies at 49. From the Mac Observer: Everything about Ebooks & Ereaders....pt. 1. Ken Burns' The Dust Bowl documentary spurs new interest in an old title. Are you an intelligent person on the planet? If so, Neil deGrasse Tyson thinks you should read (or have already read) these books. 10 new "must reads" for December. Should books be a part of emergency relief efforts? Hell yeah!